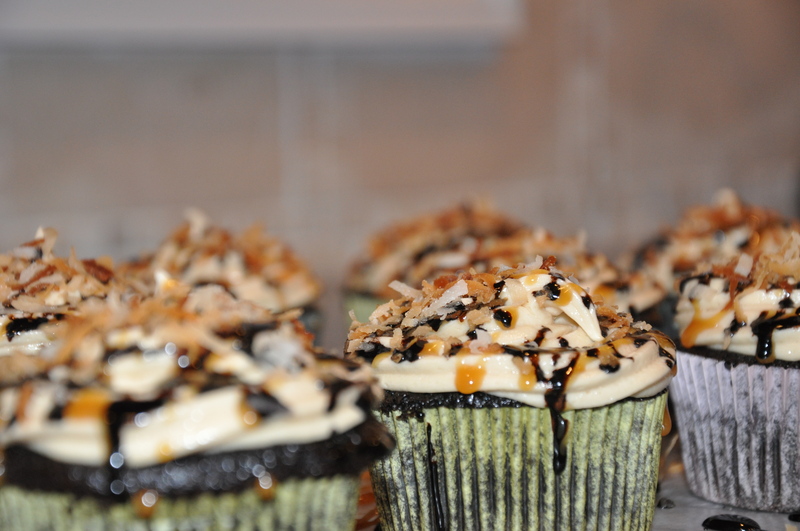 I have been dying to make these cupcakes since I stumbled across them about a month ago! I found this recipe on Spice Is Nice and just loved the idea! 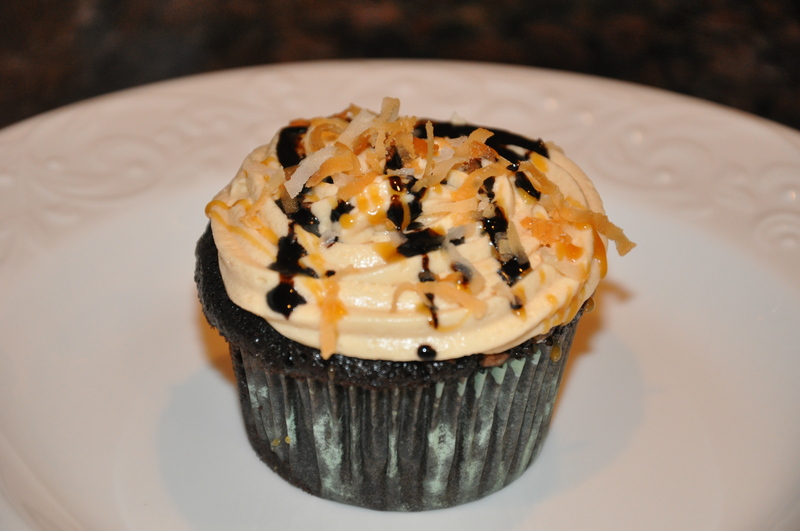 Girl Scout Cookies in a cupcake? AND there’s chocolate? Yes please :)! The recipe turned out amazing, and I can’t wait to try more of her sweet treats! I actually stuck to the recipe exactly, for everything except the actual cupcake. The dark chocolate cupcakes that I made last time were such a hit, I went with that as the base. I did add coconut flakes into the batter however, and that LOVED the additional texture. 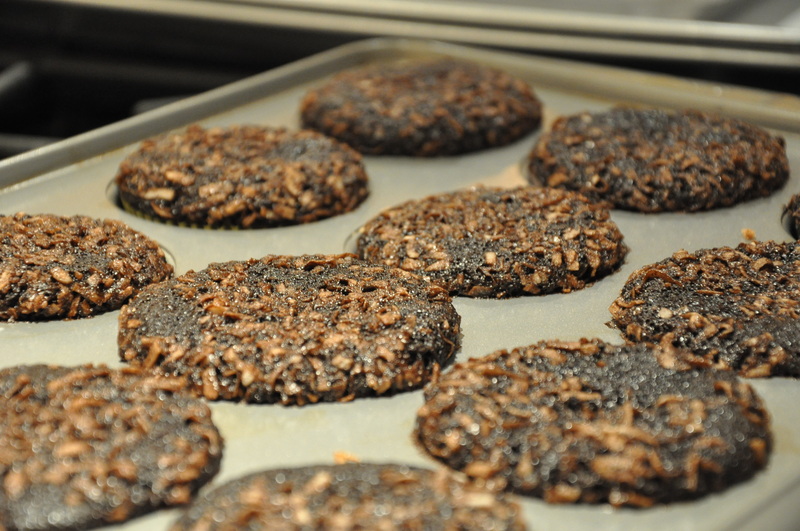 This is what happens when you bake recipes you’re too familiar with! 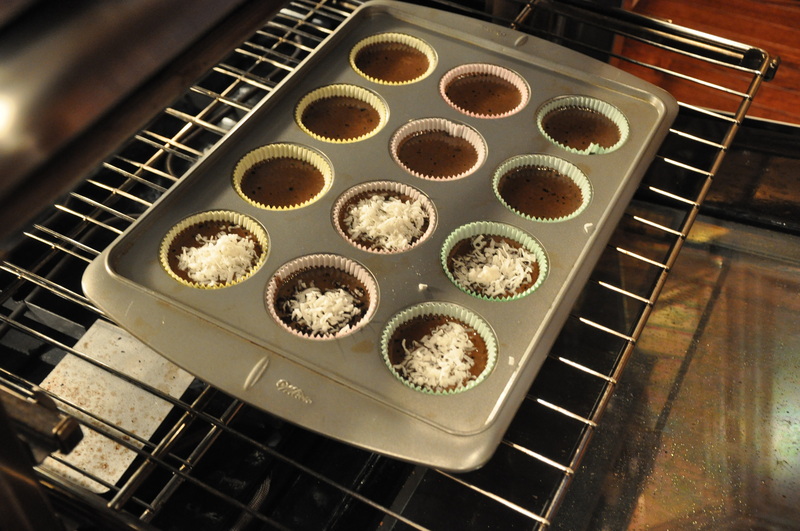 This is me adding the Coconut into the poured cupcakes IN THE OVEN! 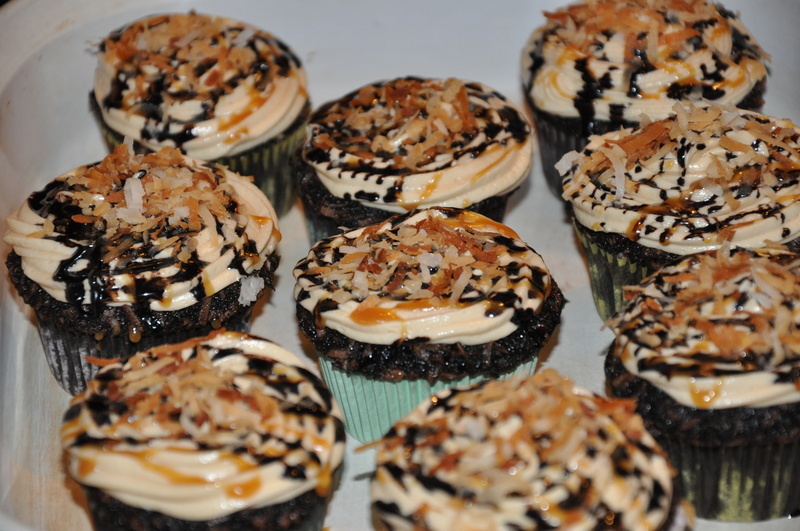 These are my little coconut-chocolate cupcakes! The first batch that is. I tried them and although they’re not the most gorgeous cupcakes I’ve ever baked, they were phenomenal! Remember, adding that cup of strong coffee instead of hot water, really brings up the rich chocolate flavors! First cream the butter until fluffy! 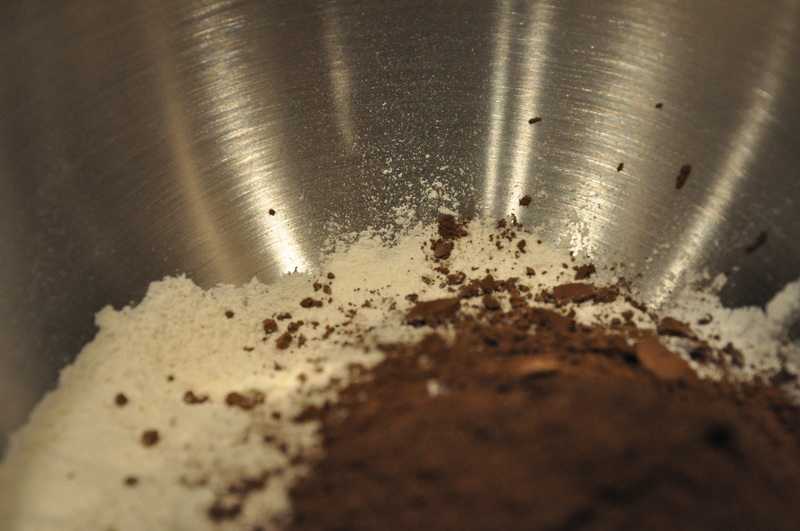 Then all you have to do is add powdered sugar and salt and mix until smooth. If the icing is too thin, add more powdered sugar! Just wait for the cupcakes to cook before you frost them! Perfect! Well done. Thanks for sharing!